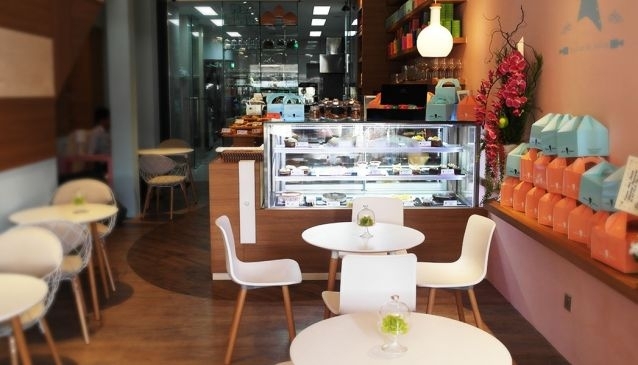 Situated right in the heart of the Central Business District, in a cosy corner of the Boat Quay riverside, this café is a wonderland for the sweet-toothed. Helmed by the former head pastry chef of The Ritz Carlton Millenia Hotel, Sherie Quek, Madame Patisserie offers a wide menu of pastries, breads, desserts, tea and coffee as well as Portuguese and Italian wines. Dining at this café is a destination on its own. Go al fresco right by the Singapore River at a charming seating area, designed to resemble a garden - complete with faux grass and colourful puppy-shaped Magis designer chairs. Amidst the pink-and-blue themed interior, watch the bakers hand-prepare desserts and breads at their open concept kitchen. Parents with children can also sit back and chat while their young ones entertain themselves at the children's play area. In all, enjoy a relaxing time while indulging in artful and tasty creations.